Dr. Jing YANG is a professor at the Center for Linguistics and Applied Linguistics , Guangdong University of Foreign Studies, China. She got her bachelor's degree in the Psychology Department from Beijing Normal University and later enrolled in MPhil and PhD programs in the Department of Linguistics at the University of Hong Kong. 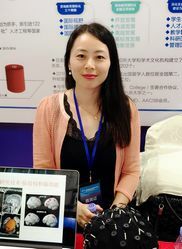 She received postdoctoral training in the Brain, Language and Computation Lab by Prof. Ping Li in the Department of Psychology at Penn State University. Informed by the fields of cognitive psychology, neuroscience and linguistics, she works on the neurocognitive processess underlying second language learning and how they are modulated by individual differences (e.g., working memory). In addition, she is particularly interested with functional brain networks for language development and disorders.